Welcome to the Osborne Bee Groupwebsite, based at the Environment and Sustainability Institute at the University of Exeter. 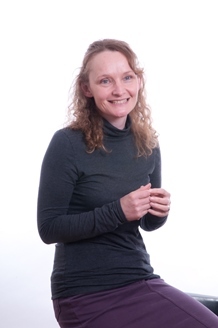 The group is led by Professor Juliet Osborne who moved to the University of Exeter from Rothamsted Research in 2012. In Juliets group are Research Fellows Dr Pete Kennedy, Dr Matthias Becher, Dr Ros Shaw and Dr Emma Pilgrim as well as PhD students Jack Rumkee, David Pascall and Jess Knapp. The group broadly studies the behaviour and ecology of bees and other pollinators, often combining computer simulations with experimental work, both in the lab and in the field. Work is diverse, and frequently involves collaboration with beekeepers, conservation organisations, farmers and industry with the overall aim to conserve bee populations, and to protect and promote wild flower and crop pollination. It is hoped that this website will allow colleagues, collaborators, students and anyone who might be interested, to learn more about our work. We aim to do this by posting publications (either written by us or our colleagues), as well as regular updates of our research, whether its field work, conference attendance or project breakthroughs!